Austria’s forests cover about half of the country’s federal territory. The growing stock is more than one billion m3, which offers the potential for sustainable forest management. The forest as a habitat fulfills various functions. It is the natural habitat of a wide variety of plants, animals, and microorganisms – a complex ecological system in which all its elements interact. 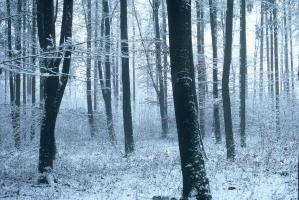 Austria’s forests are today a cultivated landscape, the result of centuries of human care and attention. Original virgin forests are rare and restricted to small areas. Nevertheless, the forest is still that element of the landscape that is closest to nature. It is a natural resource. That’s why forest management should be in harmony with nature through an ecosystem-oriented approach. Tending measures increase the stability of forests and favour desired tree species; the timely removal of old trees produces light and space for a quick and natural regeneration or afforestation. Forest stewardship guarantees that forests can fulfil all their functions permanently. The benefits of forests and their functions are defined in the Forest Act which focuses on the protective function of forests, wood and timber production, the possibility of using forests for recreational purposes, and the social benefits of forests. The key functions of Austrian forests (according to the Forest Development Plan) are: Economic function 64.55 %, Protective function 30.73 %, Beneficial function 3.61 % and Recreational function 1.11 %. In the mountain country of Austria (50 % are mountain forests), Alpine natural hazards are a serious threat to people in some areas. Natural hazards such as floods, debris flow, avalanches, landslides and rock fall threaten people, their settlements, economic activities and traffic routes. Forests protect people against these natural hazards! Austria’s productive forests are characterised by a high share of conifers. 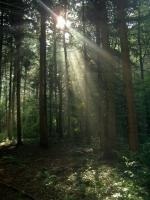 According to the Austrian Forest Inventory 2000/2002, the share of coniferous stands is share 66. 8 %. The share of deciduous stands is 23.9 %. The remaining 9.3% of productive forest land consists of blanks, gaps and shrubs. The percentages of various forest stands are: pure coniferous stands 62 %, (pure spruce stands 41 %), mixed coniferous & deciduous stands (more conifers than deciduous trees) 15 %, mixed deciduous & coniferous stands (more deciduous than coniferous trees) 11% and pure deciduous stands 12%. Austria’s forests are not evenly distributed over the federal territory. A high percentage of forests is located on the steep slopes of the Alpine regions and the lower mountain ranges. Areas with low forest cover are found in the summer-warm east. The total growing stock in Austrian forests is 1,095 million m3 in Austrian forests and 1/3 of the annual increment is felled every year. Thus, the demand for wood, this environmentally friendly and renewable domestic raw material, will continue to be covered.